Now that you have a SMARTBoard what do you do with the “dumb board” that remains? Most of us in our building have had our SMARTBoards placed directly on top of the previously installed white board. This tape has been up since August 2009 and has held up well. I did have some yellow tape which I replaced, as it got a little messy when you got marker on it. 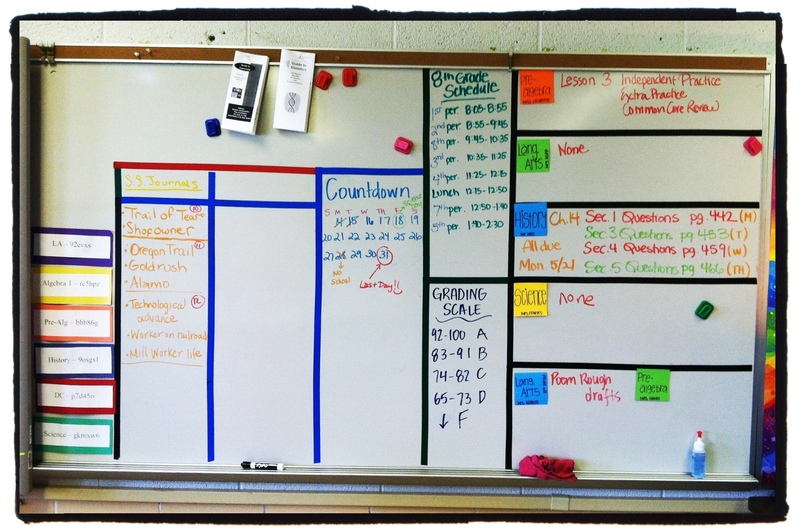 I like this because it is organized, neat, visually pleasing and helps students focus on the information. They know exactly where to look for their homework assignments. I did keep the other side of my dry erase board clear in case the SMARTBoard is having a bad day or so my daughter can doodle before and after school while I work in my classroom. I wish I had some pics of her creations, but sadly, I do not. 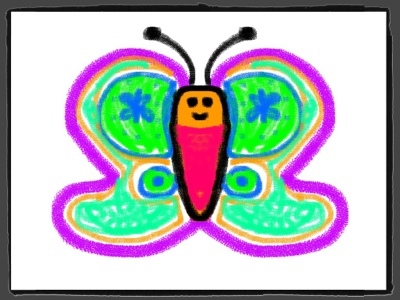 So here is one of her pics she doodled on the iPad instead. That is such a great idea!! I love how you called the white board a dumb board ! Great idea!